Many different species of beetles exist and some may be causing you a problem. Most species are well trained in reproduction, and they quickly can get out of hand. When dealing with any beetle problem you should call your Twin Cities Pest Control experts Eco Tech. The main problem with beetles is the large amount of different species. This makes it hard for do-it-yourself treatments to work effectively. What you need is a trained professional pest control expert who can identify the beetles and determine the correct treatments. Not only will treatments exterminate the current pests, it will also prevent the problem from happening again. At Eco Tech we are experienced in identifying the different species of beetles present in Minnesota. We also are educated in treatments that will be effective, along with being safe for the environment using our less toxic organic product line. 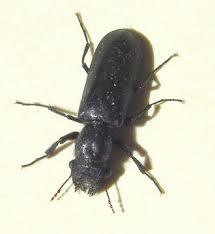 Give us a call today and let us help you with your beetle problem.